Finding the best Internet flight deals can save hundreds of pounds on the cost of a holiday. There are certain times when flights to world wide destinations will be less expensive. This means that you can save a lot of money if you are flexible with your time. Internet comparison websites have become extremely popular and can be a helpful cost saving tool. There are comparison sites designed specifically for those looking to achieve the lowest flight prices. All that is required is the flight departure and destination airports and the dates of travel. A list of flights will then be calculated with the price options and price options if flying a few days before or later. Internet flight comparison guides can be useful but they do not always guarantee the lowest flights. This is because the comparison sites will not take every airline into consideration. Researching the huge number of flight options available on the Internet should provide a fairer comparison and bring extra results. Comparison sites will not always include the popular budget airlines where flights can be bought for only a few pounds. One of the most popular and cost saving options is of course the budget airlines. Advertised as no-frills air travel to destinations around the world they do exactly as they say; provide cheap, reliable flights without extras such as in-flight meals. Budget flights can be found for as little as £10.00 GBP and if booked early enough they can be even less. Budget airlines fly to many destinations around the world from numerous airports in the UK. These flights will usually be the cheapest that can be found anywhere. One of the major disadvantages of budget airlines is that the airports they fly into can be quite far from the intended destination. Certain budget airlines fly to newly built airports that are quite far from the city centres. This can usually add on around an hours travelling time to the trip and extra travel expense. But spending an hour travelling does not seem very much when you consider the huge savings that can be achieved by using budget airlines. Flying midweek can save a lot of money on flight travel costs as can booking early. The earlier you book your flight the more chance you will have of achieving a cut-rate ticket. If you do see a cheap ticket, book it immediately, don’t be tempted to wait. Early booking will usually guarantee the cheapest prices but these prices can increase within a day. In direct opposition is the last minute booking theory, this can also bring up some inexpensive flight options but can be a riskier option. Booking online means that you can choose who you fly with. This means researching your options, and in some cases booking single tickets with different airlines. Remember major cities such as Paris will have a few different airports and will have different airlines flying in and out. The further the airport is from the city centre the less expensive the flights can be. It may add a little extra to travel time but the savings can be significant. When you book online remember to use the online check-in facility. By checking in online before you leave home you will save money and time. If you forget to check-in online you will usually be charged extra at the airport although there may be electronic check-in facilities at the airport. Check-in online and you will also be able to avoid the queues and proceed directly to the gates unless you have luggage to be checked in. If you want to save extra then stay on holiday longer. The longer your holiday is the less expensive it should work out. Weekend breaks are usually Fridays to Mondays but if you stay at your destination for even an extra day it can mean cheaper air travel. Midweek flying is less expensive so take some extra time out and save some money. There are fears that the no-frills budget flight era is coming to an end. 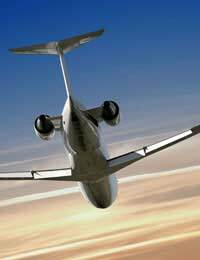 Flight prices are expected to rise as much as 10% due to oil prices increasing flight fuel costs. However, bargains can still be found by researching your Internet flight options and booking as early as possible.